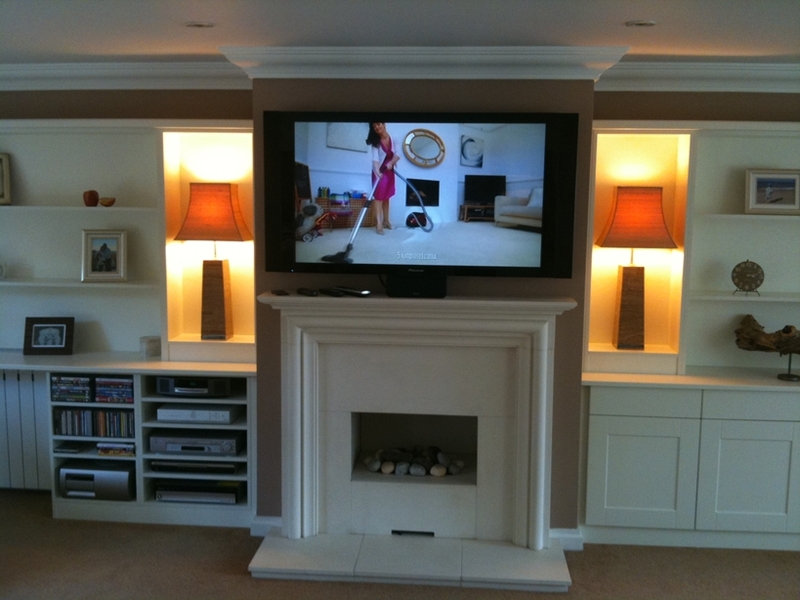 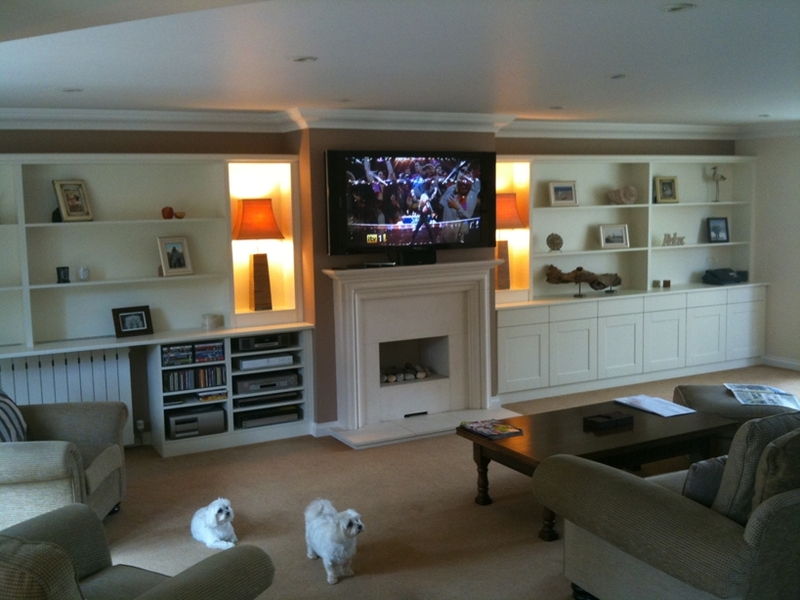 Woodlands are also accomplished manufacturers of AV units. 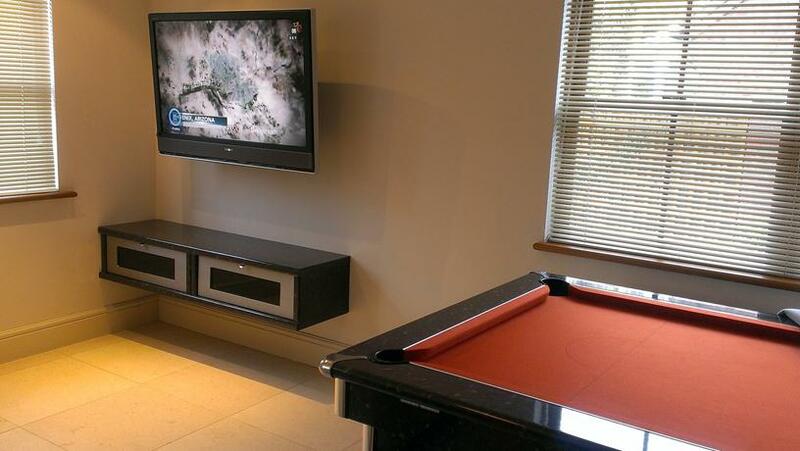 The first photo below shows a wall hung AV unit made from the exact same high gloss laminate material as the clients existing pool table. 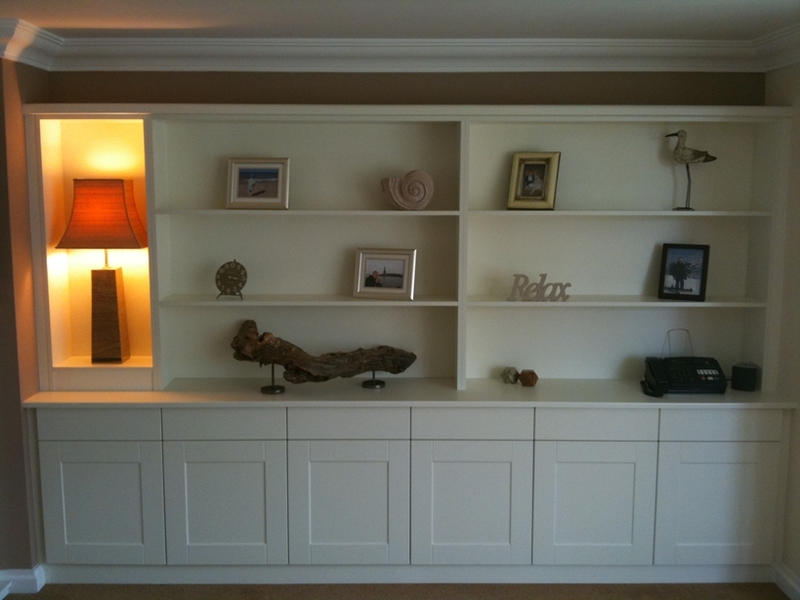 Units can be constructed from any material or a combination of materials and can be wall hung or floor standing, fitted or freestanding. 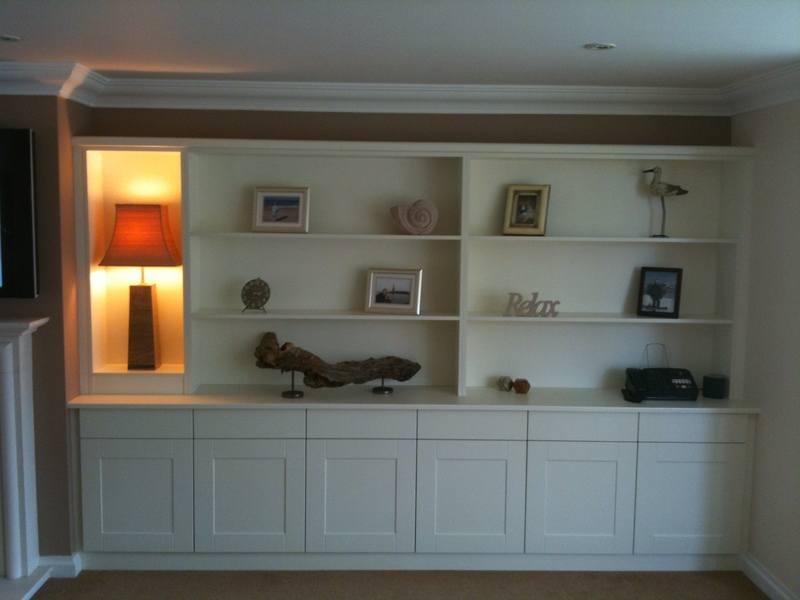 Individual units can be supplied or complete fitted lounge units made that can incorporate your AV equipment, books, ornaments, record collections and even conceal away your turntable for occasional use. 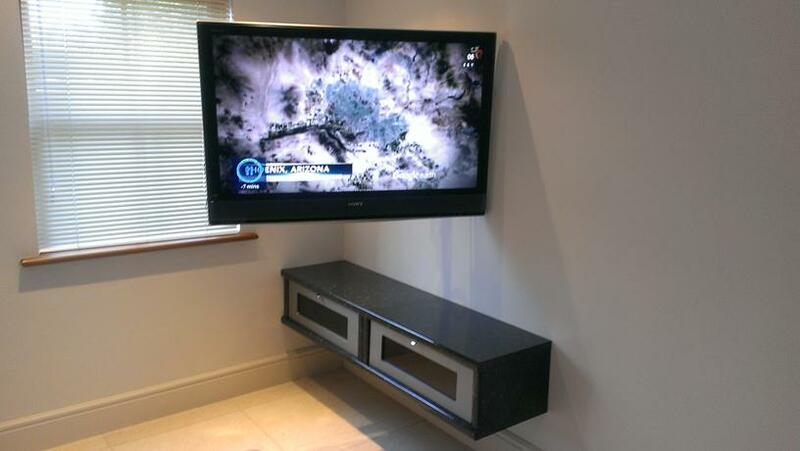 Completely made to measure to fit your home and as importantly, your AV equipment. 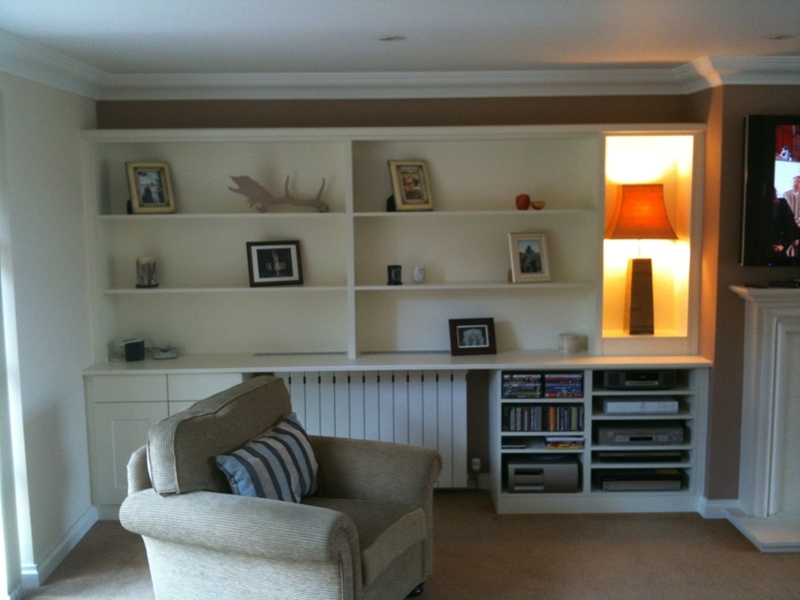 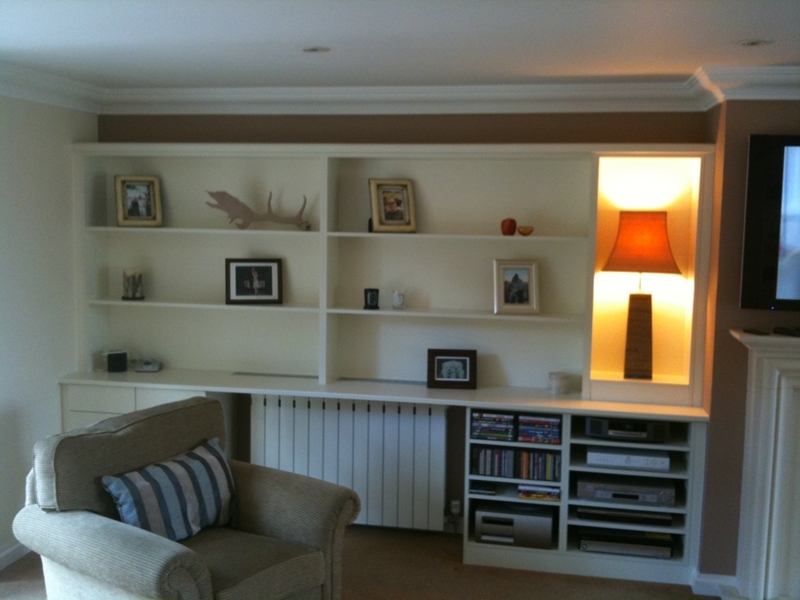 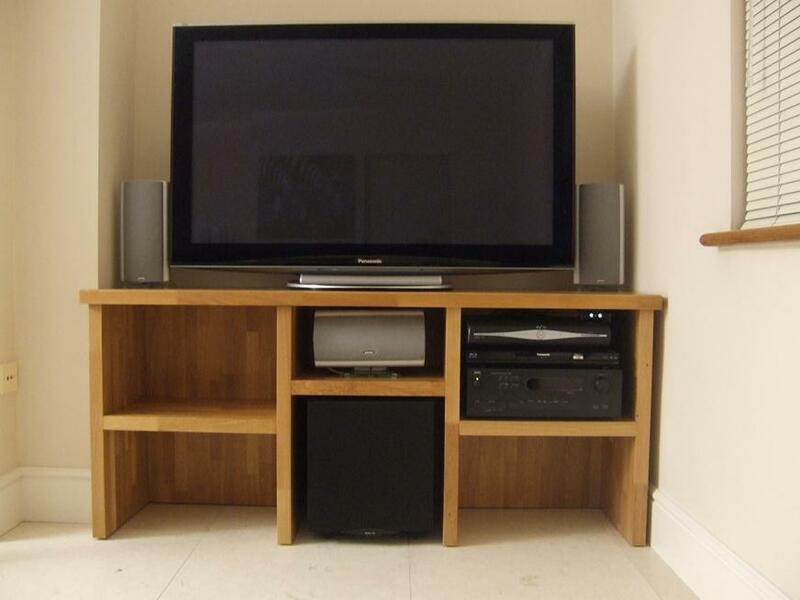 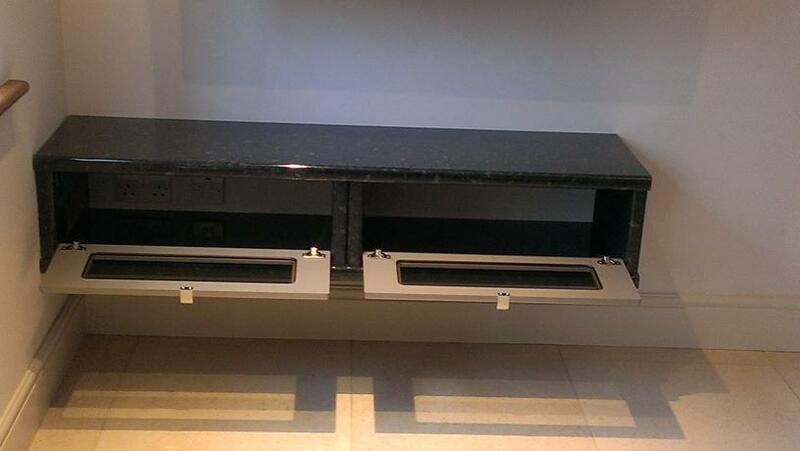 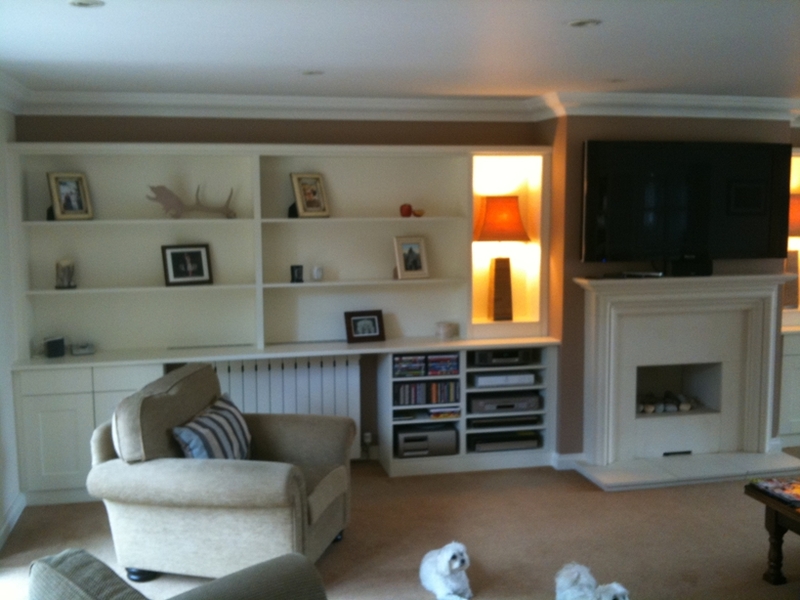 Storage for DVD`s, PlayStation, keyboards, Sky box, amps & speakers. 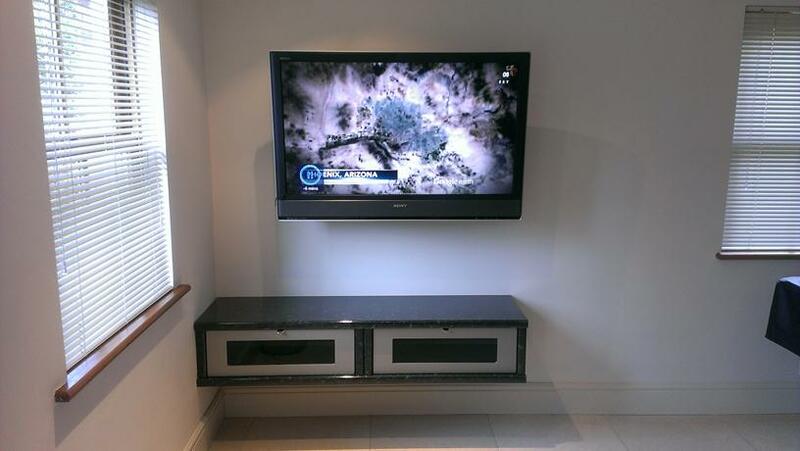 Electric touch opening drawers and doors, beautifully engineered concealed TV lifts remotely controlled, spectacular LED lighting – almost anything is possible. 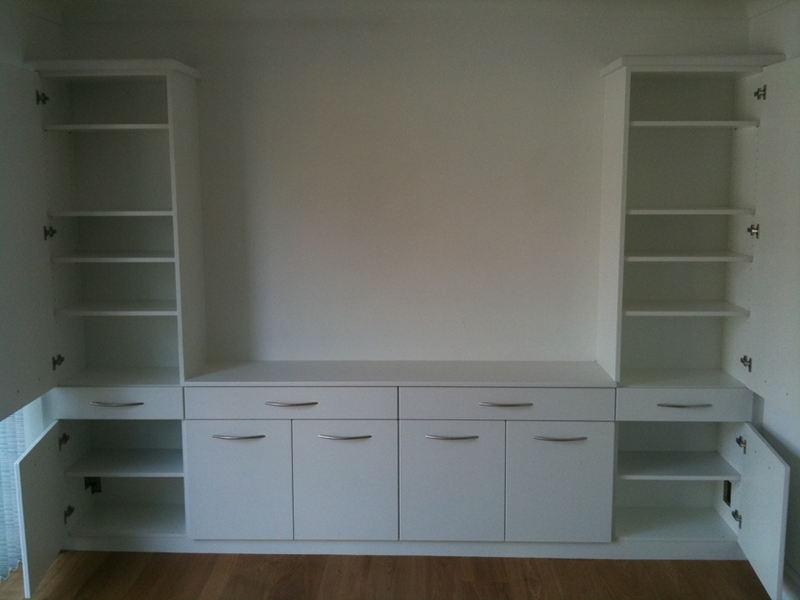 Please thank your “team” very much for their individual contributions. 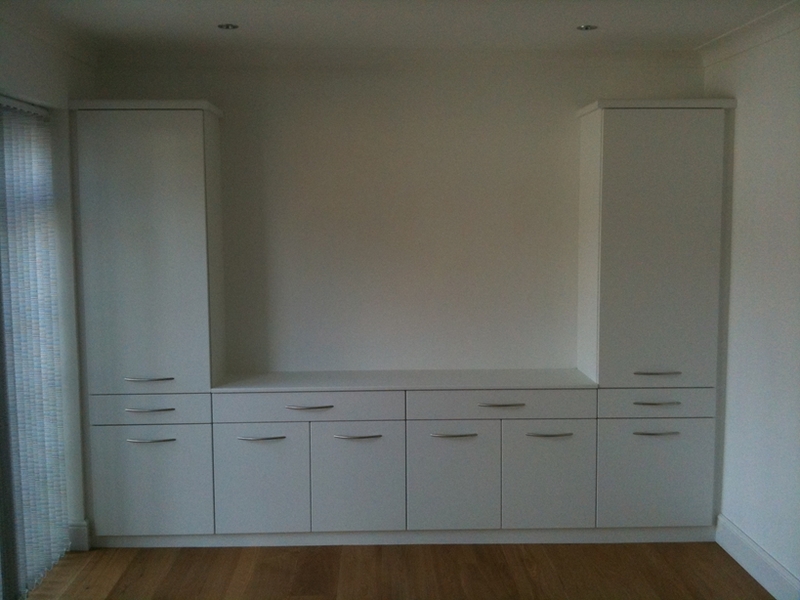 Thank you for your expert help, advise and patience in planning our truly wonderful kitchen.